So I decided I'd create this shader to keep him company. Then a nice chap called Andre told me I could use his awesome sound shader (sound shaders a black magic to me, which makes Andre's accomplishment all the more impressive) as background music. Took me about 5 hours of effort, which included "figuring out how this raymarching biz works". 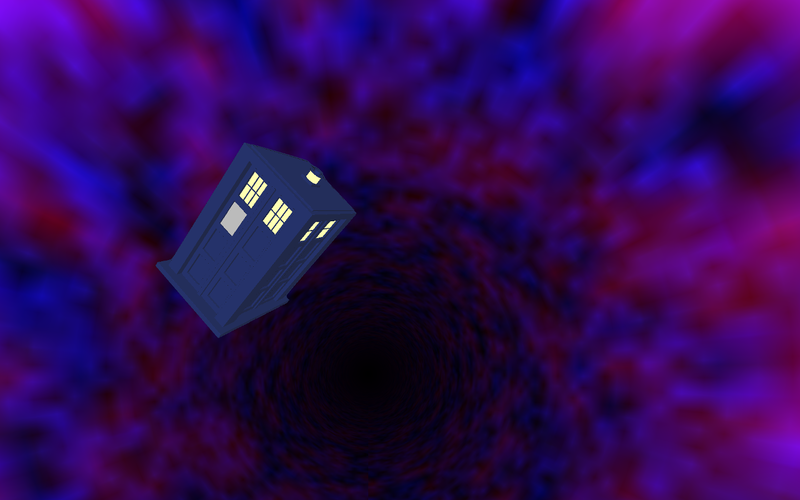 The lighting is a bit off but I figure light is supposed to be funny in the time vortex. Also I'm not aware of a way to do ambient occlusion in a raymarching fragment shader.